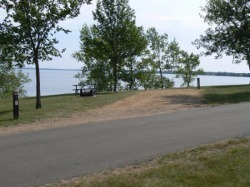 Camp sites can be reserved at Pelican Lake Click Here for more information. Watertown, SD is only seven miles away if camping to you means a hotel without 24/7 room service! 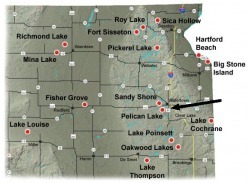 There are a number of hotels within minutes of Lake Pelican. Click Here for Hotels in the Watertown area. There are a number of camp sites at Pelican Lake. Reserve early because camp sites often fill early. Click on the link above for information and reservation phone number. Click Here for pictures of the camp sites. The two available cabins have already been reserved for Saturday, June 28th.